The Dynaco ST-35 Power Amplifier has been the center of my music system since I discovered it in 1982. I used one to replace my pair of Dynaco Mark IVs after performing lengthy comparative listening tests, and deciding that the smaller, cheaper ST-35 provided inherently superior sound. Being a “tinkerer,” I have always looked for ways to improve the circuitry further, but have found little, other than the well known power supply and individual component improvements. The SCA35 that Dave describes and the ST-35 share similar circuitry in the output and power stages, but have numerous physical differences. Adding additional components to the ST-35 is challenging due to the lack of available “real estate.” The chassis is less than 3/4” deep, so component size is limited. I started by adding the necessary grid resistors as shown in the photo at right. The 1K resistors were installed in place of the jumper wire from eyelets 8 and 9 to pin 2 of each output tube. 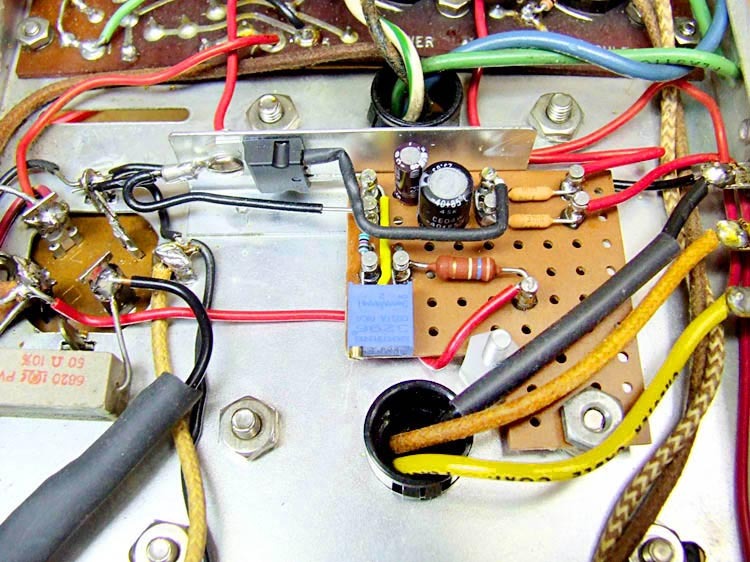 The 100 ohm resistors were bridged across terminals 8 and 9, and the output transformer screen lead attachment was moved to pin 8 of each output tube. 0.1875”, so it’s a product that seems to be no longer available. An alterative would be to drill your own holes in a piece of phenolic or FR4 board. The cut board dimensions are 1-13/16” x 1-13/16”, with a 7/16” x 13/16” cutout to clear the output transformer leads. A 3/16” mounting hole was drilled to allow support with an additional #8 nut on the output transformer mounting screw as shown. I favor the use of turret terminals for construction of small boards. The ones that I used are Keystone #152, which are available from major electronics suppliers. However, the staking tools are expensive and difficult to find. Therefore, I attached the turrets into the board holes with a dab of “JB Weld” (JB Quick), an epoxy that will withstand the heat from soldering. 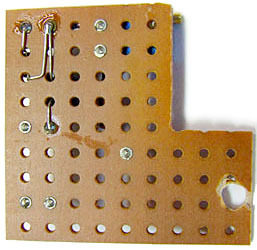 An alternative to turrets could be small pieces of 14 AWG solid wire cut to ½” length, placed into appropriate sized holes drilled in the board, and also held in place with JB Weld. JB Weld is electrically conductive, however, so watch for “bridging” between components. Of course, fabricating an etched pc board would work equally as well, keeping in mind that attachment points such as eyelets or terminals would still be needed. 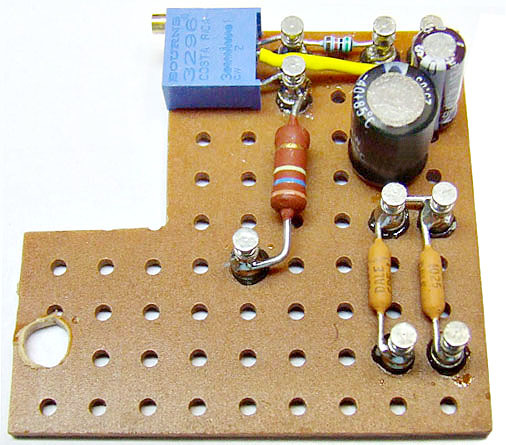 I used 5 ohm, 0.1% cathode resistors, rather than paralleled 10 ohm resistors and mounted them directly on the board. A Bourns 5K trimmer was mounted in a position to allow adjustment from an area away from high voltage. A dab of common yellow wood glue was placed under the trimmer to help secure it to the board. I decided to also mount the output capacitor for the LM337 on the board, rather than use the aging one enclosed in the original multi-section can. The value I had on hand is 33mfd, 25VDC, which will work fine in this circuit. One needs to watch the polarity, here. The negative lead is grounded. Referring now to the photo at the top of article, I removed the original 95 ohm, 5 watt resistor from the “can capacitor” as well as the two wires from the #4 terminal leading to pin 3 of the output tubes. I also temporarily removed the black wire from the output transformer to the common terminal of the right speaker terminal strip to facilitate board installation. I also clipped off the ground wire from the can capacitor tab at the same speaker terminal. After temporary installation of the circuit board, I located the LM337 on the chassis support and marked the mounting hole, drilling it with a 1/16 inch bit. For convenience, I decided to mount a ring terminal to the tab for the input signal (ground, in this situation), rather than the center pin on the bottom which I clipped off. Two wires were soldered into the ring terminal. One lead goes to the bias board ground, the other to the can tab ground. I felt this was necessary as the chassis support is spot welded to the chassis, and could be a marginal grounding point. After soldering an extension wire and heat shrink tubing on the LM337’s output terminal, I then installed it on the support along with the ring terminal, using thermal compound, but without a mica insulator and hole spacer. I then shortened the previously removed speaker terminal ground wire and attached it to the “side” can capacitor ground lug. This will, in theory, improve the grounding scheme, rather than relying on grounding through the chassis or aluminum capacitor can. I ran a new speaker ground wire to the output strip on the other side of the chassis support. I then soldered the LM337 leads to the board terminals, and shortened and attached the wires from pin 3 of the output tubes to each 5 ohm resistor—one from each channel. 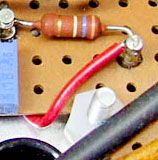 The installation was completed by attaching a wire from the can capacitor (marked with a square) to the 360K resistor. This resistor was mounted slightly above the board as it is a 2 “watter”, and gets warm. Finally, I added a #8 screw with two nylon nuts, in a “sandwich” arrangement, one above and one below the board in the corner of the notch to stabilize the board. This screw, plus the connection to the LM337 on the other corner, makes the board physically stable without any additional chassis drilling. For extra insurance, I placed a small piece of tubing over the black output transformer wire, as it now contacts this stabilizing screw. The installation was complete with the drilling of only one 1/16” hole as the only physical chassis alteration. Since the above article appeared, I’ve been asked a number of times for my opinion of any sound changes apparent in the amplifier due to the inclusion of the EFB Bias regulator. This is a valid question, since it’s well known that better “specs” in an audio circuit don’t necessarily equate to better sound. A few months ago I did a personal evaluation, comparing Dynaco cathode bias vs. EFB Bias. For those who haven’t seen this report before, it is included here. Music Source: Yamaha DVD-C940 DVD-SACD-CD Changer. CD’s upsampled at 176Kb/s. Preamp: Dynaco PAS-2 with modifications to the heater supply, power supply and line stage. Amp: Essentially stock ST-35 with EFB mod incorporating an external switch that changes between cathode and EFB bias. 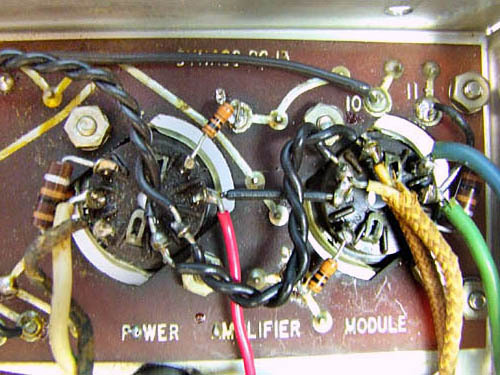 Tubes: Outputs: JJ EL84 (matched Quad) Voltage Amp/phase inverter: 7247s–one marked “Dynaco”, one marked “United Electron” both are marked “Made in Gt. Britain” and both believed to be “Mullard”. Speakers: Altec-Lansing 890C (Bolero) LF: 10’ active (approximately a 604 with 10” cone), 10”passive. HF: Small horn made by “Foster”. Estimated system efficiency: 95-98 dB (1W, 1m). 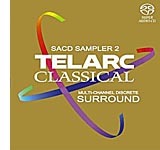 I selected three specific CD’s and one SACD for the tests. I played the tracks listed below using one amplifier bias setting, then switching the amp off, changing only the bias switch position, and immediately relistening to the tracks, going back and forth between the two settings in no particular order. I concentrated on the first two tracks for evaluation. These were recorded by connecting a Fender Bass guitar directly into the mixing console. Anyone who has heard this, may agree that the effect is rather startling! My opinion is that the sound has even more realism and “punch” with EFB bias. I chose this CD figuring that if anything would demonstrate an increase in amplifier power, this would be it! Anyone who has listened to theater pipe organ, live or recorded, knows the floor shaking, window rattling sound that emanates from the 16 and 32 foot pipes. The lowest frequency produced is 16 Hz, and I tend to think that was Mr. Wright’s favorite note! Oddly, after listening extensively to this CD, and switching back and forth, I could detect no difference at all between the two bias settings. I could only guess the reason for this, and that guess is that it has something to do with the fact that my speakers do a poor job at 16 Hz. Altec rated them down to 40Hz, and I suspect response falls off quickly below that point. The test tones down to 20Hz on the “Stereophile” CD confirms this suspicion. 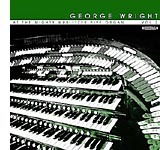 I have heard this (organ) CD on a system that does reproduce 16 Hz fairly well, and the sound is definitely different. Nevertheless, I’m still a little puzzled by my lack of ability to hear a difference between the two settings. Track 2 and one or two other tracks were probably included on this recording for the reason that the closely “miked” orchestral side drum literally lifts you out of your seat, sounding much like thunder, at certain points. Here, the difference between the two bias settings was definitely noticeable, as I came further off the couch when the EFB bias setting was used. I also think that other differences were apparent using EFB bias including an improvement in the sound of cymbals and some brass instruments. I tend to enjoy the music more with the latter bias setting in ways that I find a little difficult to define. 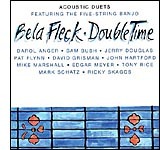 I consider the acoustic quality of this CD to be the highest of any recording that I have in my collection; better than any SACD or DVD I’ve heard. Consisting mostly of music played on banjo, mandolin, guitar and bass, it defines the meaning of “transient response”. To my surprise, the difference between the two bias settings was more noticeable with this one, than on any of the other disks. I asked another person to listen to a track played both ways, and to tell me if she heard any differences, and if so, if she could describe what she heard. She stated that on position 2 (EFB) the very subtle finger and pick sounds on the strings were noticeably more defined and apparent. She preferred this setting, overall. Her opinions matched mine, but I found another generally noninvolved, non-critical listener’s opinion to be quite valuable, since she didn’t know in advance what she was going to hear, and has no knowledge of the technical difference. In summation, I’d say that, yes, there is a “sound” difference between Dynaco cathode bias output, and Dave Gillespie’s EFB bias. The improvement is measurable on the bench as increased power output and reduced distortion. But, the effect on the final sound is apparent in ways that I for one, would not have expected. The increase in power output in improved bass would be expected, but it’s interesting that the modification shows up with improved transient response and superior “musicality”, overall. If you can temporarily solve the issue by rotating the switch, then there's a good possibility that it's just dirty contacts on the switch. While it isn't difficult to bypass the "Blend switch", as Dyna called it, I prefer to leave the switch in, as the single "A" and "B" channel function can be useful, particularly when troubleshooting. Whenever I have my PAS opened, I routinely clean all the switches and controls by spraying contact cleaner into them while rotating the knobs. If you decide to try this, I'd strongly recommend that you also at least clean the input selector switch. This 3-gang switch is more complex, and more critical, overall than the other switches in the preamp. Dirty switches and controls are a very common and usually easily solved issue with older audio equipment. Since the last update I've been enjoying the system almost daily, but I did discover another problem... The left channel sometimes cuts out. I traced the issue back to the stereo/mono switch in the PAS-3. I've read it's common to take that switch out, as the novelty of showing mono vs stereo has long since waned and it's no longer needed. Next time I open up the PAS-3 I'll probably bypass that switch. In the meantime it's sufficient to rotate it clockwise and then back to full stereo and it resolves the issue. Otherwise, the system is sounding awesome and performing flawlessly! Hope all is well with you, and hope you and Dave have a great Thanksgiving! A previous reply seemed to indicate that you had worked on your PAS-3, before you repaired the ST-35. A suggestion: If you have not already done so, replace the selenium rectifier in the PAS heater circuit, with a pair of silicon diodes. Overheated old selenium rectifiers can emit poisonous gas, so this thought is related more toward safety than audio quality, although the change could improve the later. Other than that, sit back, prop your feet up and enjoy the "fruits of your labor"! Hi Brian -- Sounds like a plan, and glad the current ghost has been eliminated! When you do need new boards, I'll likely be here, as I have no plans at this point to stop their sale. The bigger issue for you to remember is that "through hole" components (those with leads attached) -- which the boards I sell use -- seem to be drying up slowly one by one on a seemingly daily basis. I would bet that like so many vacuum tube specific products, there will always be a source somewhere for such parts, but like other vacuum tube specific components, the selection will be limited to only those that are most popular and profitable to produce. For now however, enjoy the upcoming holidays and all the music you grew up with throughout them! Thank you for the additional information on the transformers, and for all the troubleshooting assistance the past few weeks. Your time spent helping me is very much appreciated! As I mentioned below (and you've no doubt read by now), I'm going to sit back and relax and enjoy the system now that it's up and working. I was able to get the bias dialed in and everything sounds great! I might shift focus to the FM-3 as I know it has capacitor issues, too... but at least I'll have warm music to keep me happy while I work. One day it'll turn cold here in Southern California and I'll be happy staying warm by tube-light. I appreciate that you're keeping the boards available for people like me! Sounds like a wonderful community of folks (you, Art, George, Steve) who are working in parallel to keep the knowledge transfer going. Thank you! For the past week I've been enjoying using my PAS-3 and ST-35. What started as an annoying hum (in the PAS-3) turned in to quite the project, in terms of time and money, but led me to you and Art who helped me on my journey. In the end, for now, I think I'm just going to enjoy the system as it is today. I do plan on ordering the PCBs for future use - I'm afraid if I don't order them now when I go to order them in the future I might find that you have gone the way of George and moved on to other endeavors! But it's been nice to turn it on and listen, and with the Holidays coming I want to be able to turn on Nat Cole and listen through my Dyna like I heard growing up! I don't want it to be in-progress during Christmas this year!